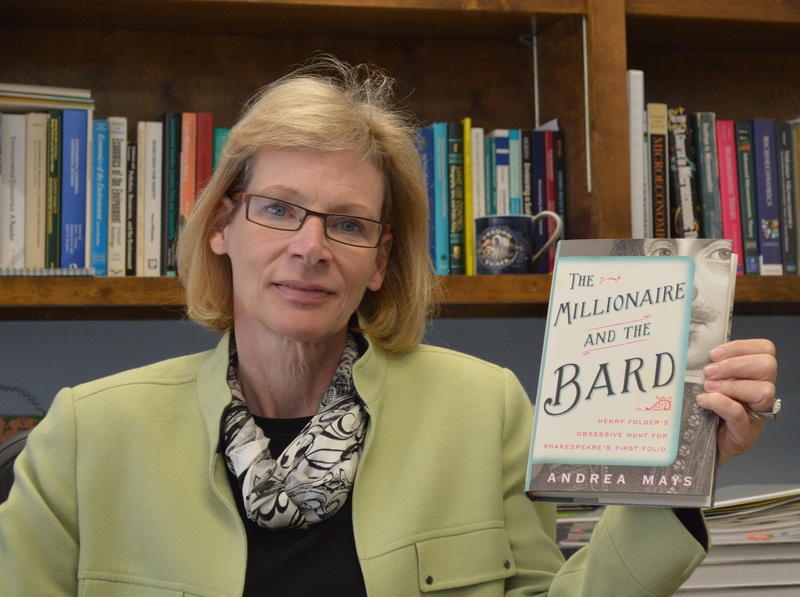 Andrea Mays, author of The Millionaire and the Bard, the story of Henry Folger and the founding of the Folger Shakespeare Library, will share her scholarship on the First Folio. First Folio Firsts: What did the First Folio mean to publishing? to publishing of plays in particular? There are several innovations introduced to publishing that began with the First Folio. I could use the Elmo and demonstrate the features on the UCI/Hanratty copy if that were of interest.